The world today is defined by its ease of connection. With the dominance of smart phones transforming our lives, we are always “on”, whether this is through the 24-hour email culture of the modern workplace, or constantly curating your public image through social media profiles – switching off in this environment can be incredibly difficult. Even in the most far-flung locations in the world, having a Wi-Fi connection in your hotel is almost a given. While of course you don’t necessarily have to sign in, the urge to scroll through your work emails can be overwhelming. Even if you don’t respond this simple action can still keep work on your mind, consciously aware of your every increasing “to do” list. The crux of all this is that you never truly wind down. In the long run, this can lead to unmanageable levels of stress and even burnout. 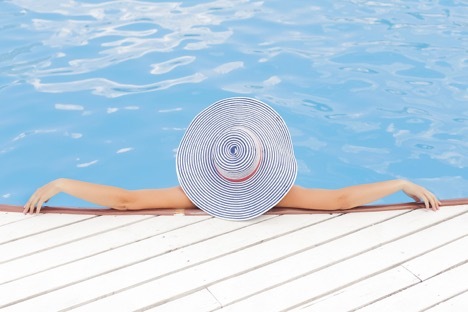 So what can you do to ensure that when you go on holiday, you really get away from it all? Here’s the luxury travel ideas that will create the perfect escape from the pressures of a modern lifestyle. Meditation and yoga retreats are about quiet, calm and learning stress managements techniques that will stand you in good stead well after the retreat has ended. These retreats can be as comfortable or extreme as you want- those who are very committed to spiritual and personal growth can find retreats in which there is nothing but sitting in contemplative silence for hours on end (with no speaking or even eye contact allowed), while others can pursue much less intense and friendlier experiences. Set in beautiful locations and with dedicated teachers guide you through, meditation retreats give you the chance to completely chill out, while developing a life skill that will help you stay calmer even when faced with everyday pressures. Sailing away over calm, warm seas, miles away from everyone but those you have picked to come with you, is a dreamy way to spend a holiday. You will also be hard pressed to find surroundings more sumptuous than on the world&rsquos luxury yachts, and with the crew taking care all any chores or tasks that could worry you, relaxing will come easy. Staring out over endless sparkling seas and perfect little islands will tempt you to throw your smartphone over board and commit to a life of mellow sea faring, ensuring that even if you can, you won&rsquot check your emails once. Even the most fulfilling of jobs sometimes leaves the most creative aspects of our lives unfulfilled. Creative expression is very therapeutic for many people, and the soothing absorption to be gained when completing a creative task can be deeply tranquil. Whether this is from painting, writing, or cooking, there are creative retreats to suit every taste, and they are more often than not to be found in profoundly romantic and desirable locations. This means you can write your first novel in stunning countryside, or paint in a lodge by the sea. Luxury spas only exist to provide bliss and relaxation, creating an irresistible alternative reality where each day is devoted to pampering yourself, in settings as diverse as deserts and mountains. There are even spas that aim to transform your life, offering a complete health overhaul, from the food they provide to dentistry services. With swimming pools, hot tubs, saunas and endless spa treatments, the world&rsquos best spas have been painstakingly honed to create the most beautiful, relaxing experience possible. From Scottish cottages which you can only access by walking the last mile, to remote islands without a soul around, diving into the wilderness without forgoing any of the comforts needed to utterly unwind is more possible than you may have imagined. This is a true escape from modern life, and if the commute, long days at the office and constant demands on your time have left you feeling jaded, a remote holiday could let you recharge. Without crowds of people or the sound of traffic, you can hear yourself think again, and re-enter the world clear headed and revived.